This is étude No. 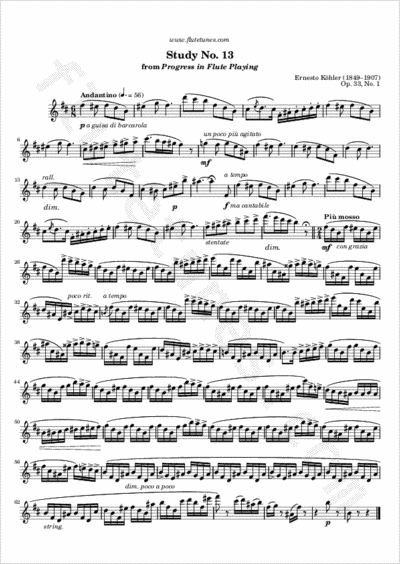 13 of the first book of Ernesto Köhler's Progress in Flute Playing, Op. 33. The first part is a melancholic moderate-tempo barcarole, while the second part is “more agitated” (“Più mosso”) but still graceful (“con grazia”).